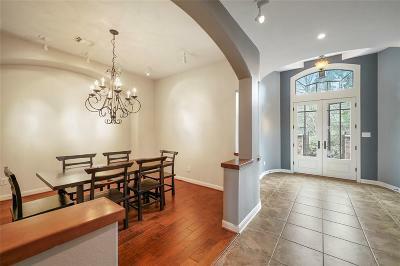 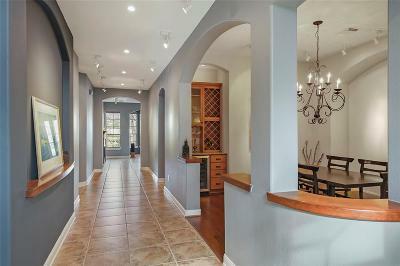 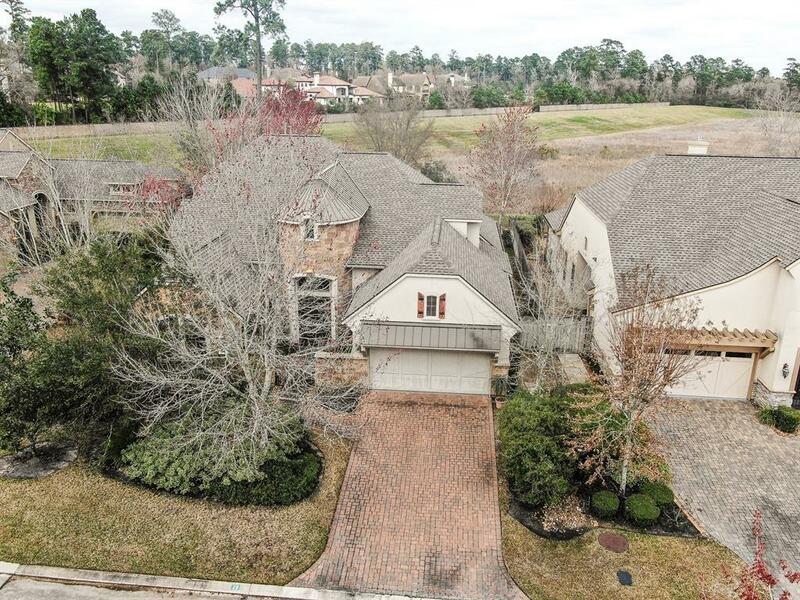 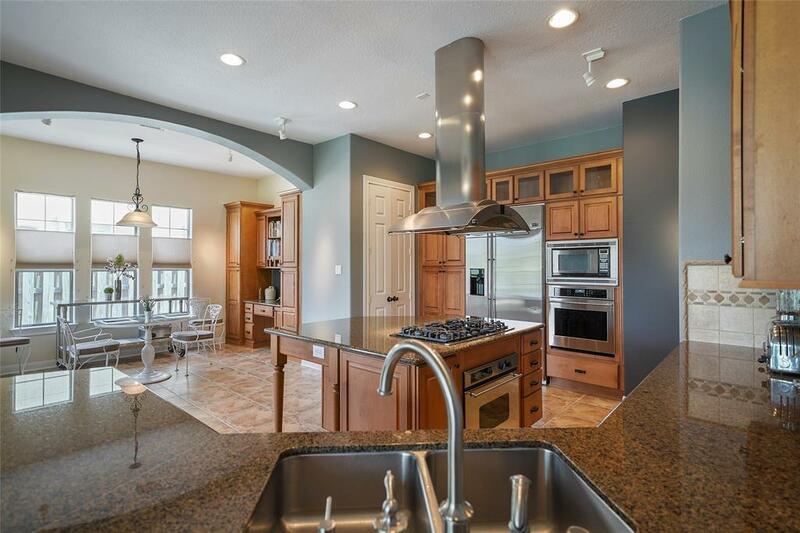 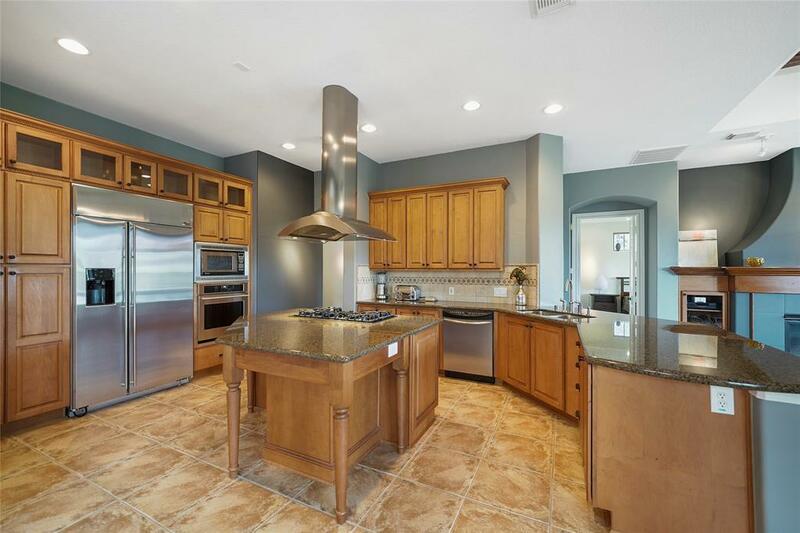 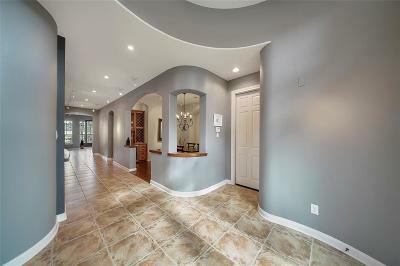 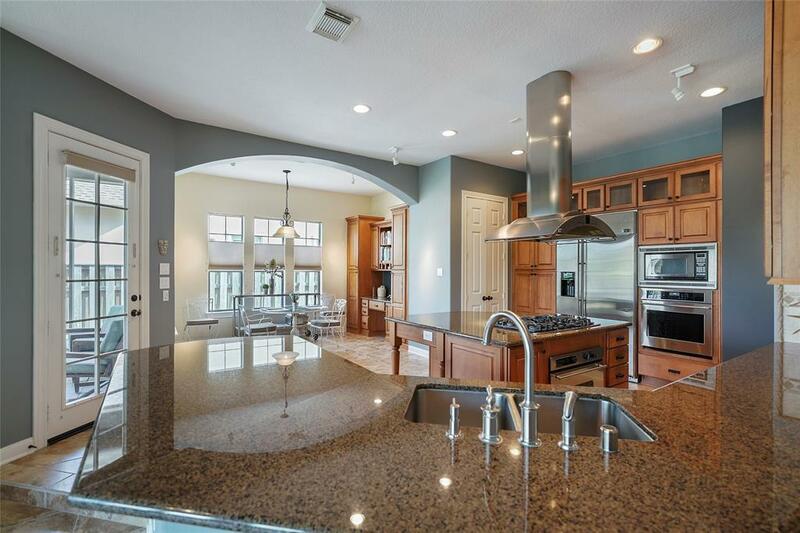 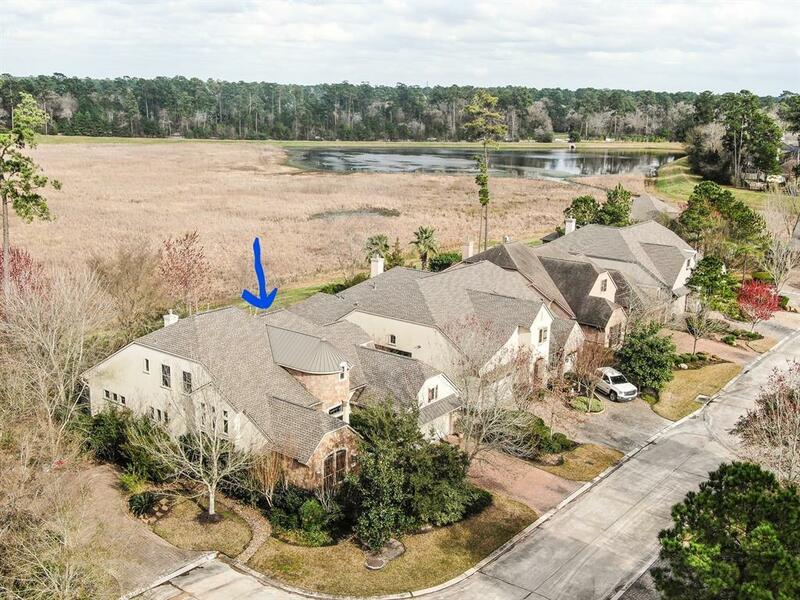 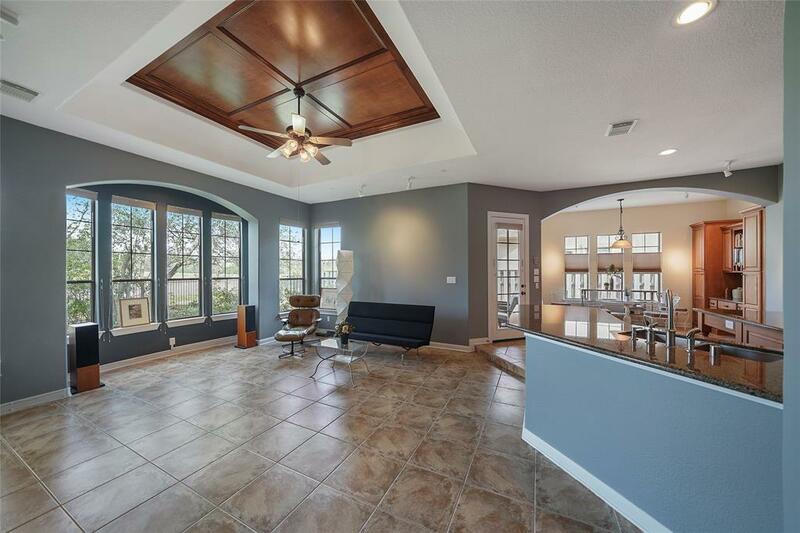 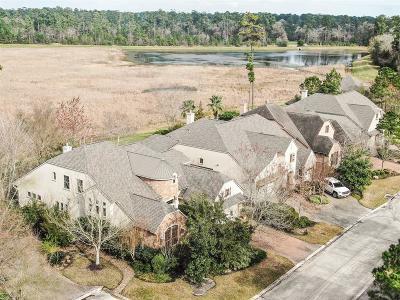 Lovely and well maintained Life Form Custom home located in the small enclave of Belcourte consisting of only 12 homes. 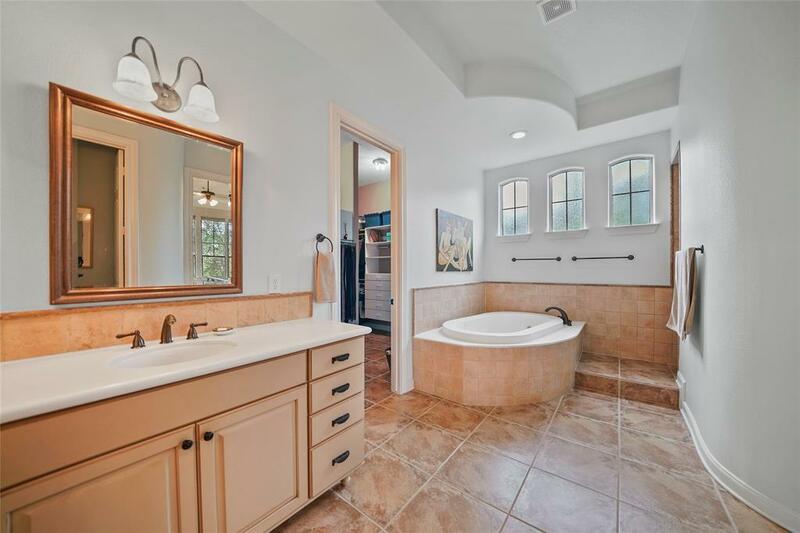 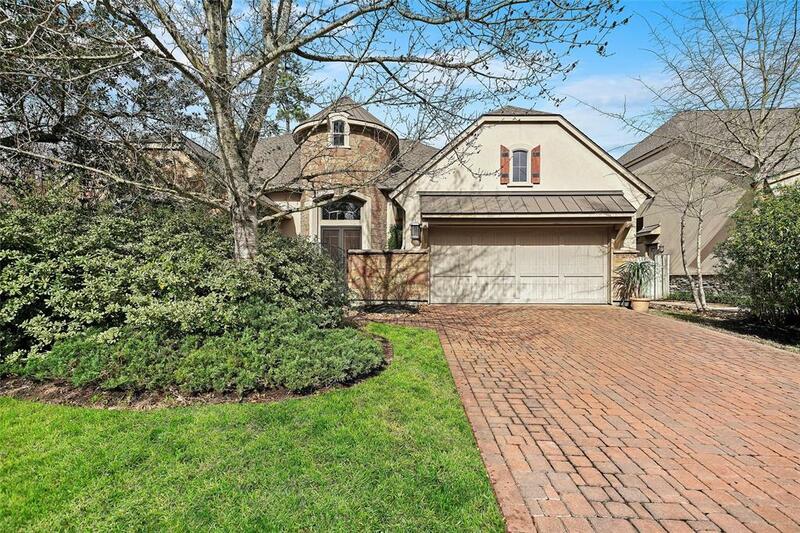 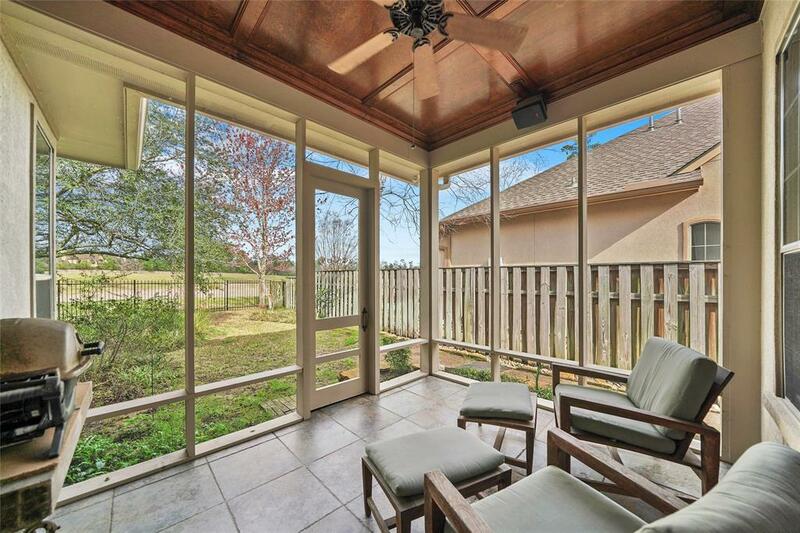 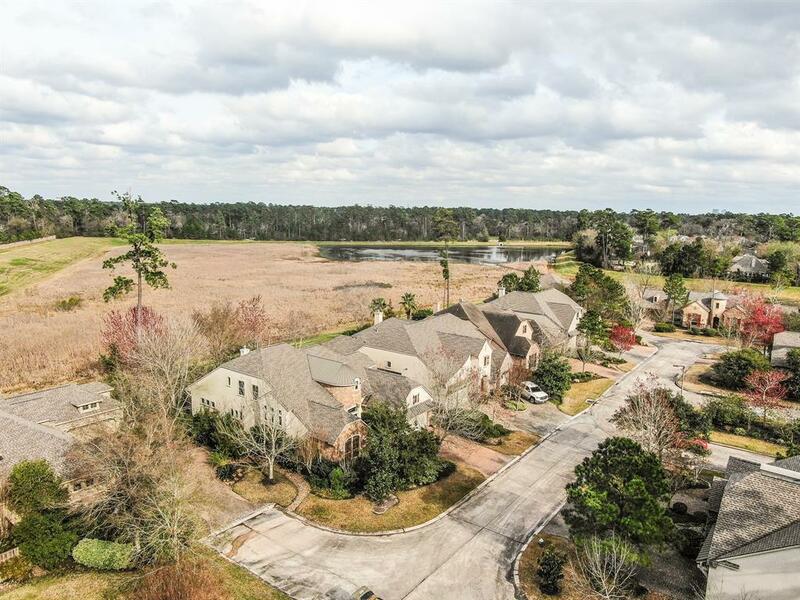 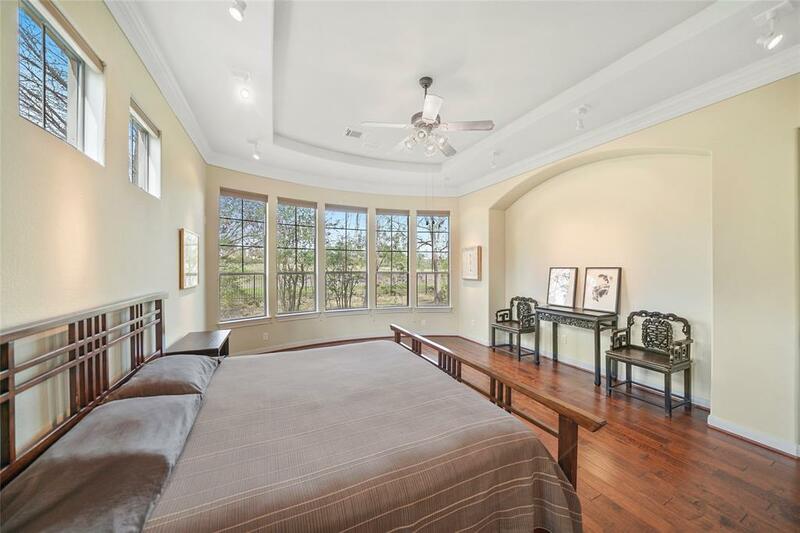 This French Style country home backs a private greenbelt with expansive views of the reserve and pond. 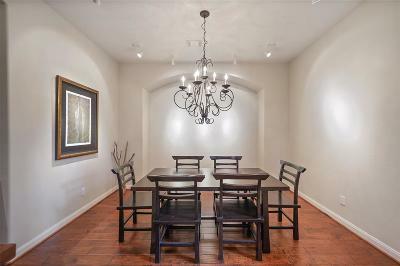 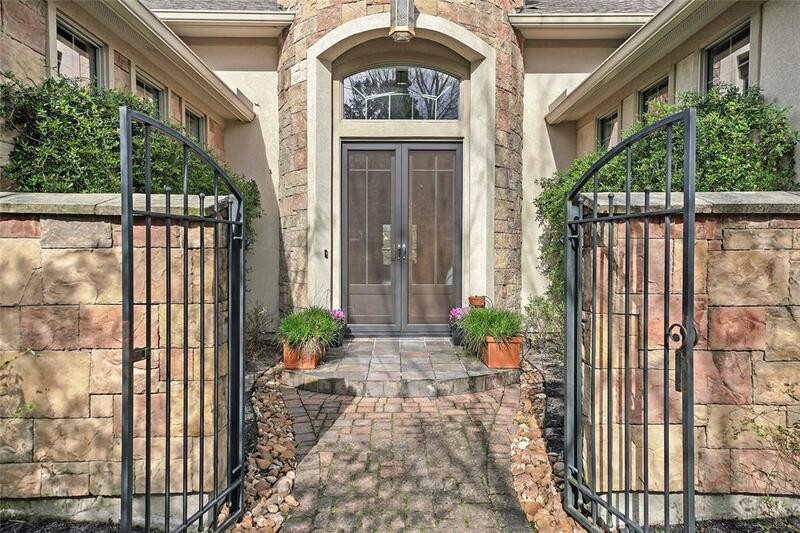 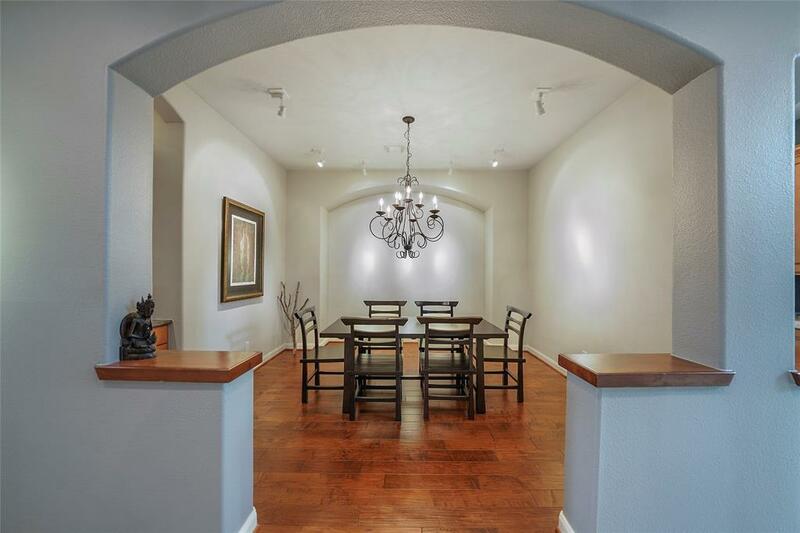 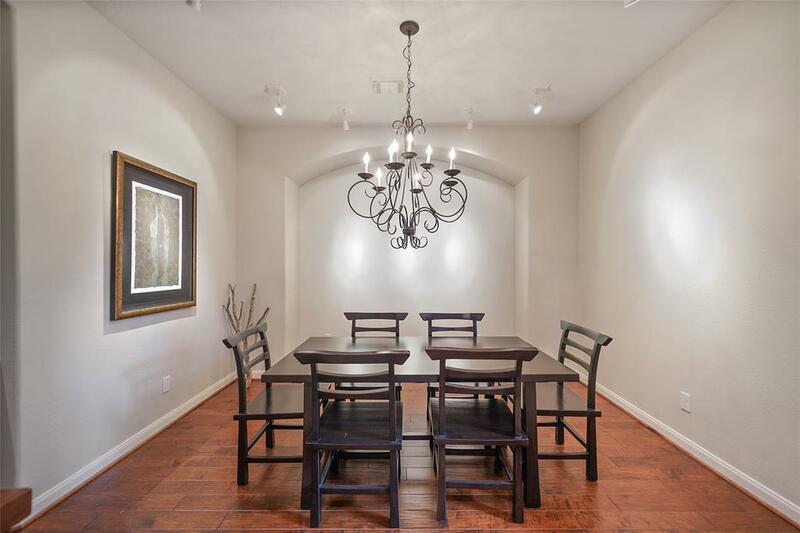 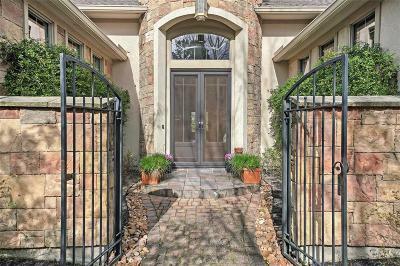 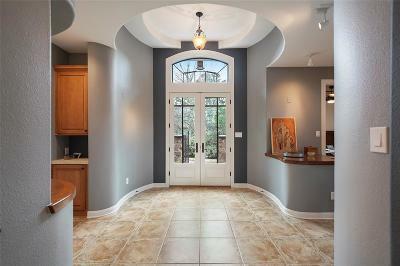 Stone and Stucco exterior, charming gated courtyard entry. 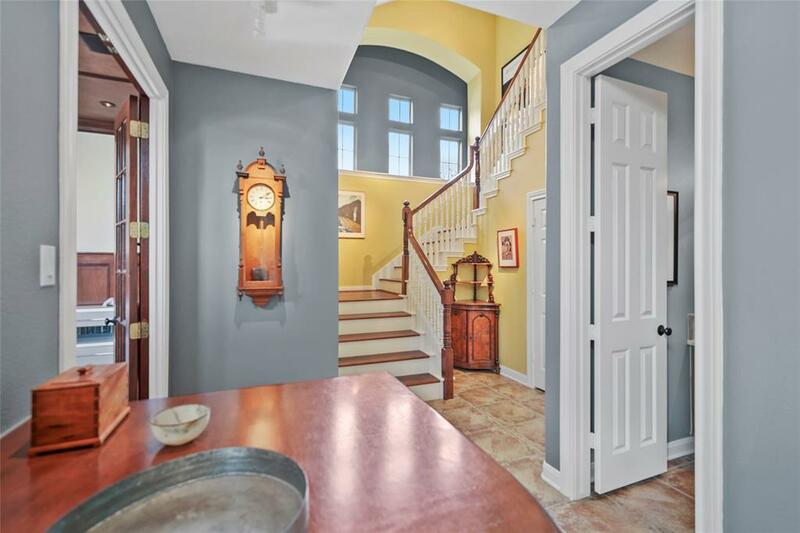 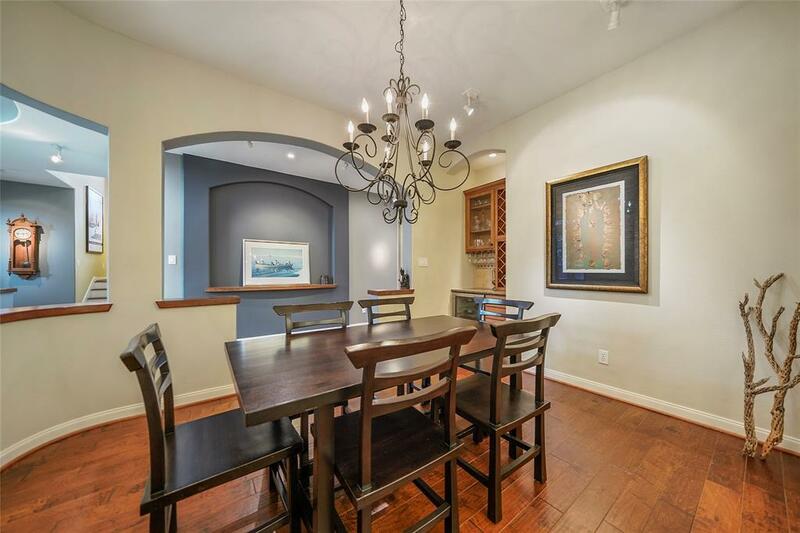 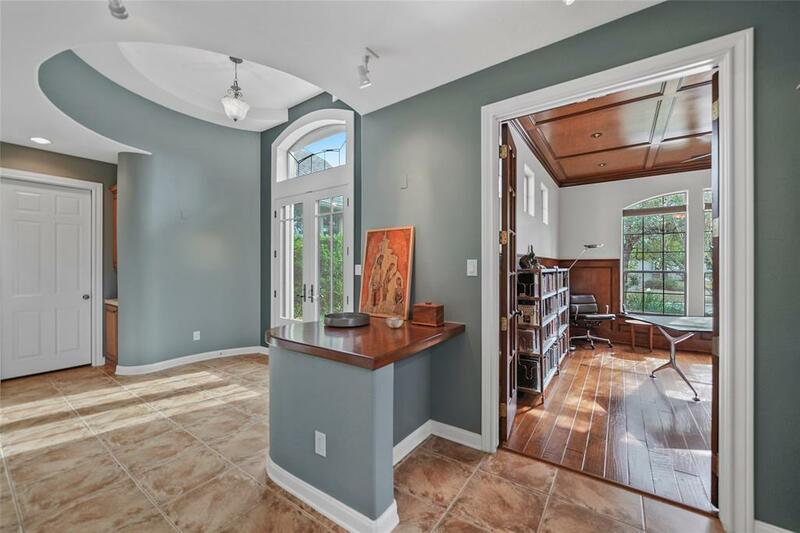 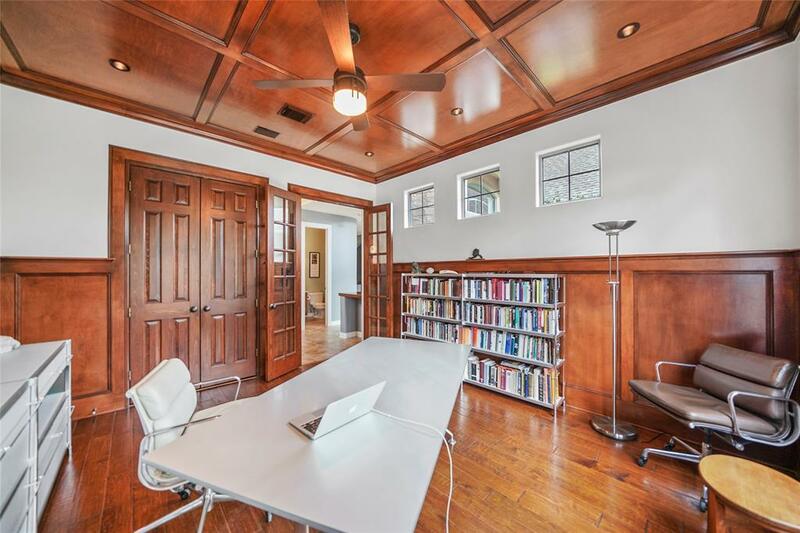 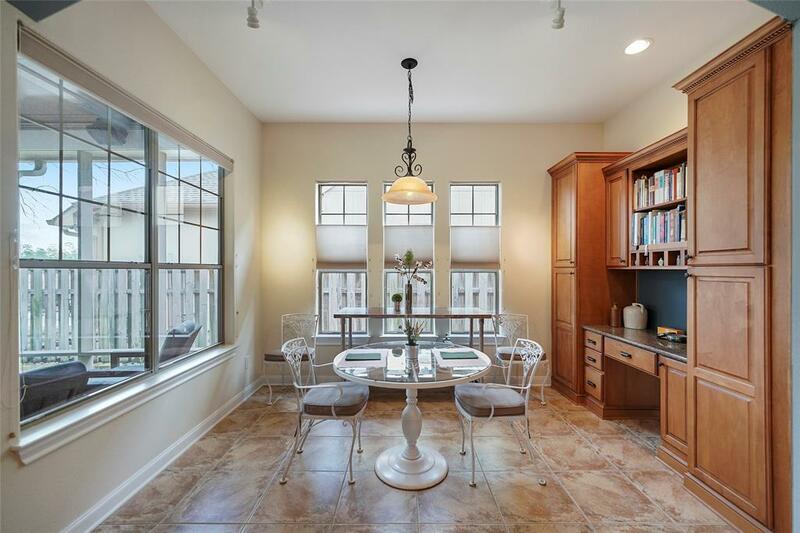 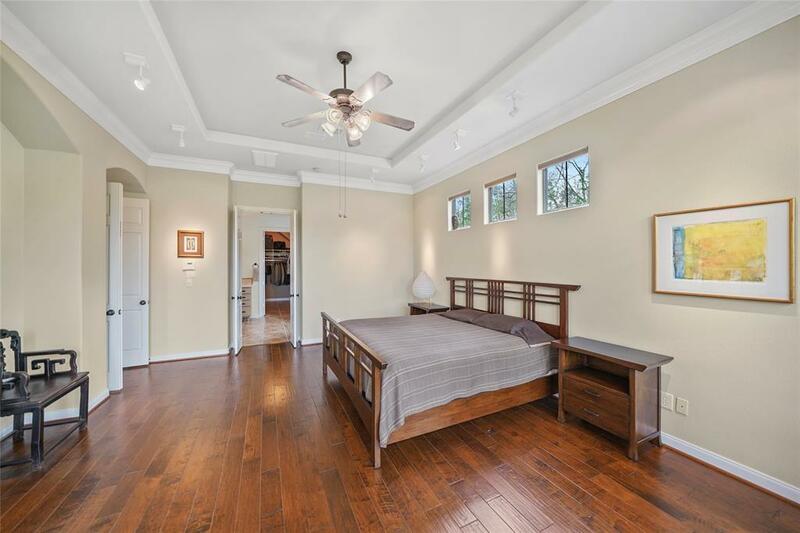 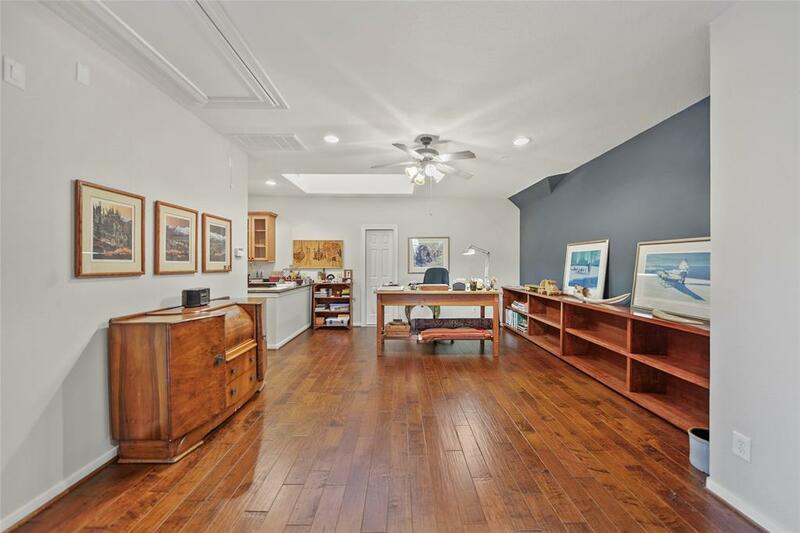 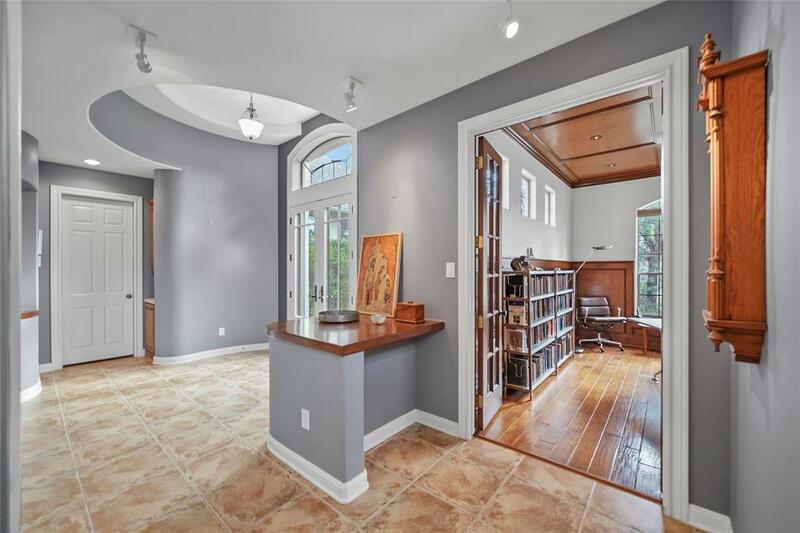 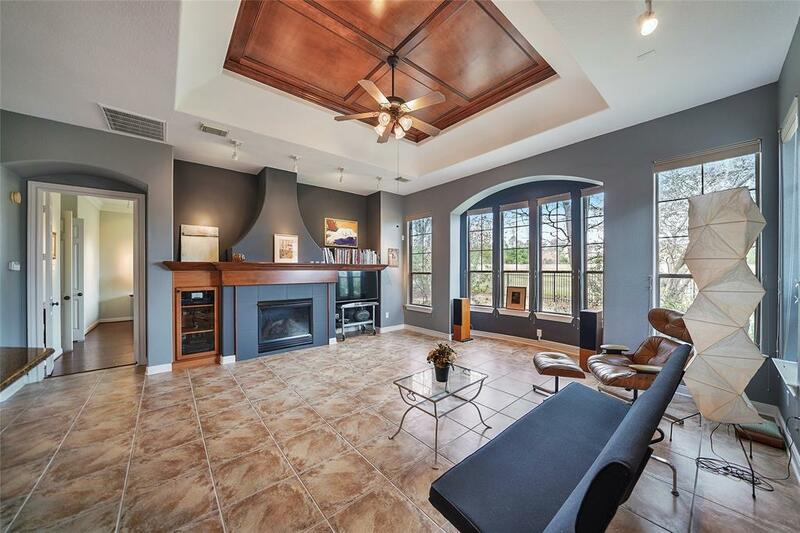 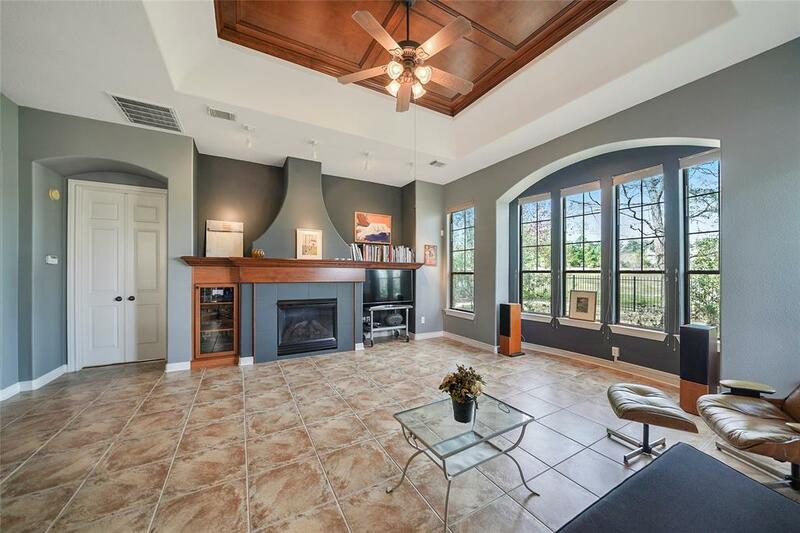 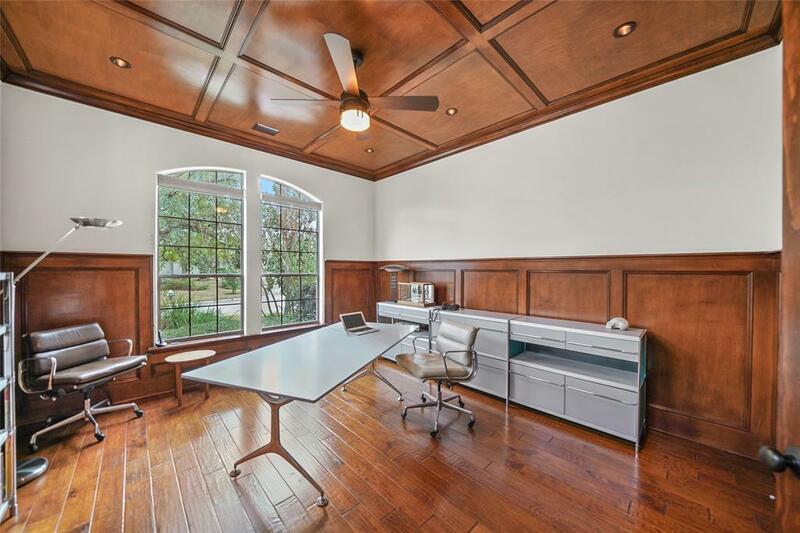 inside find an architectural delight of archways, built-ins, art niches, extensive tile and wood floors, an abundance of windows and art lighting. 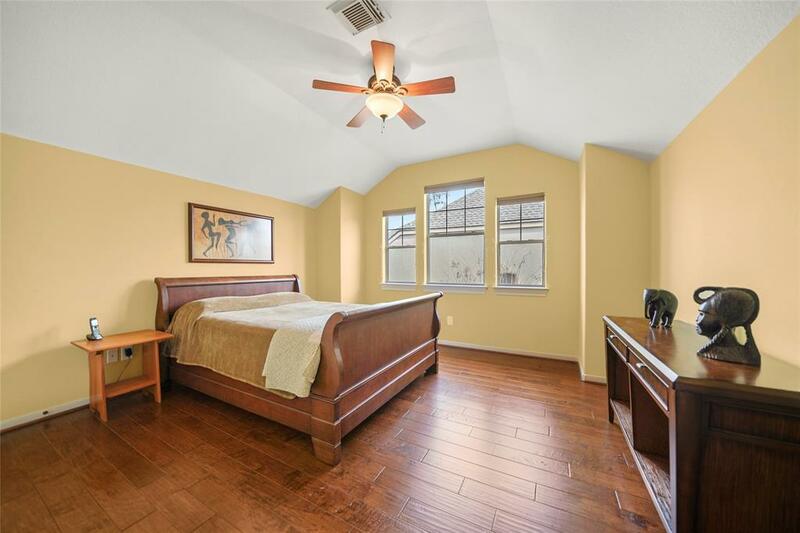 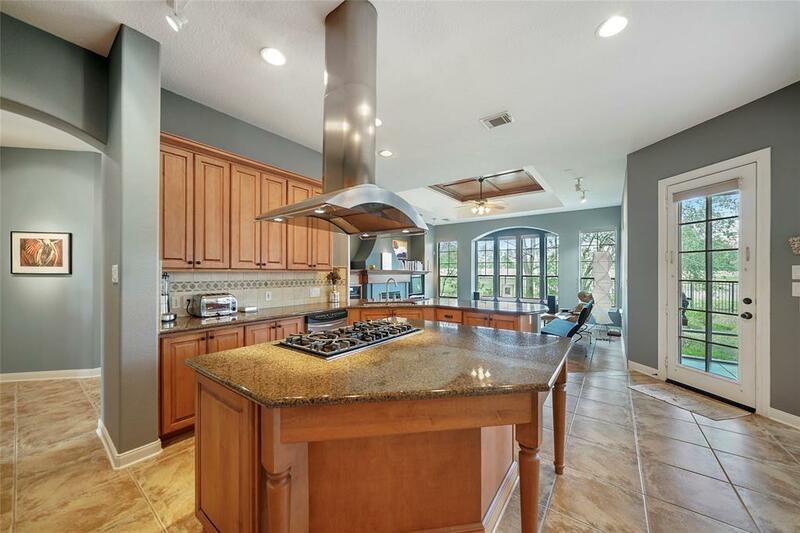 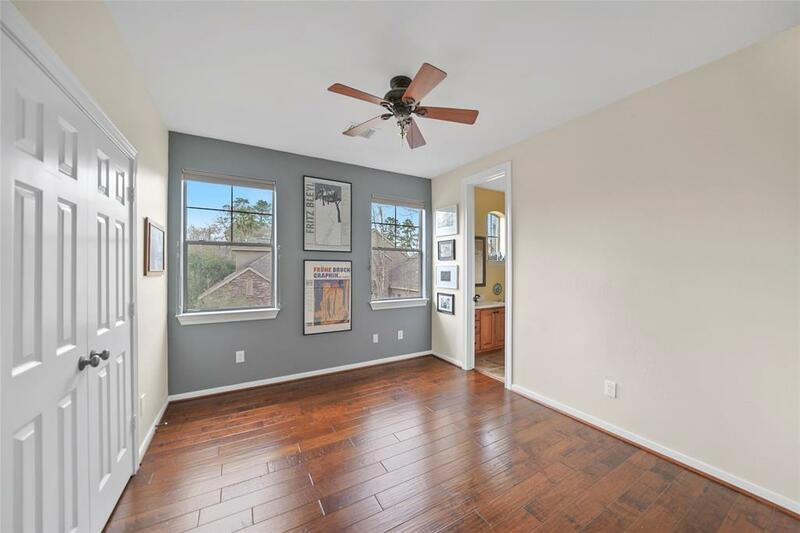 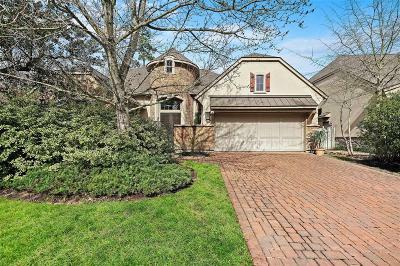 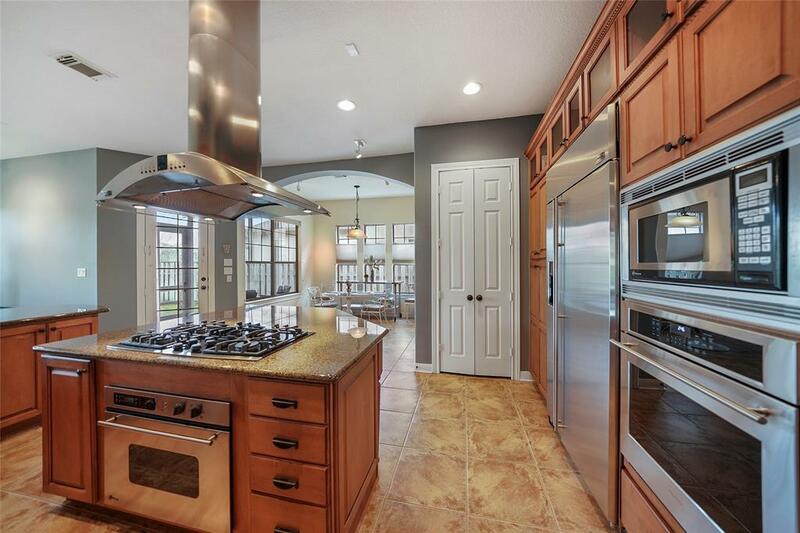 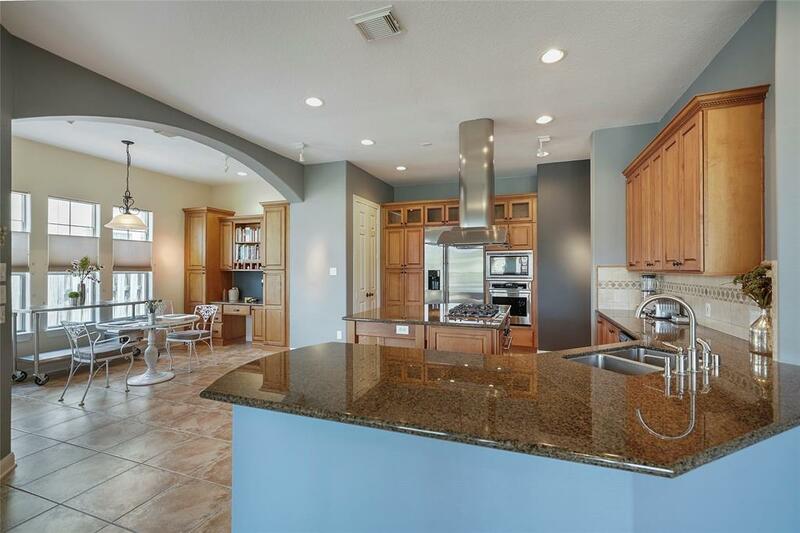 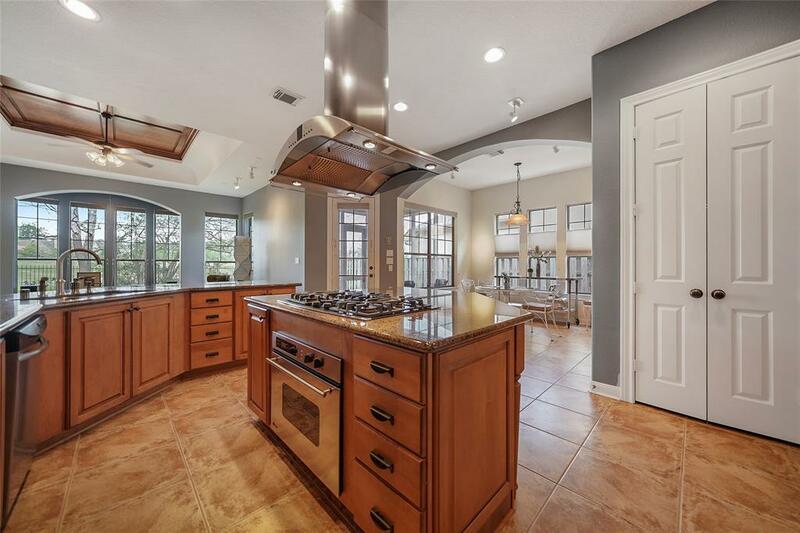 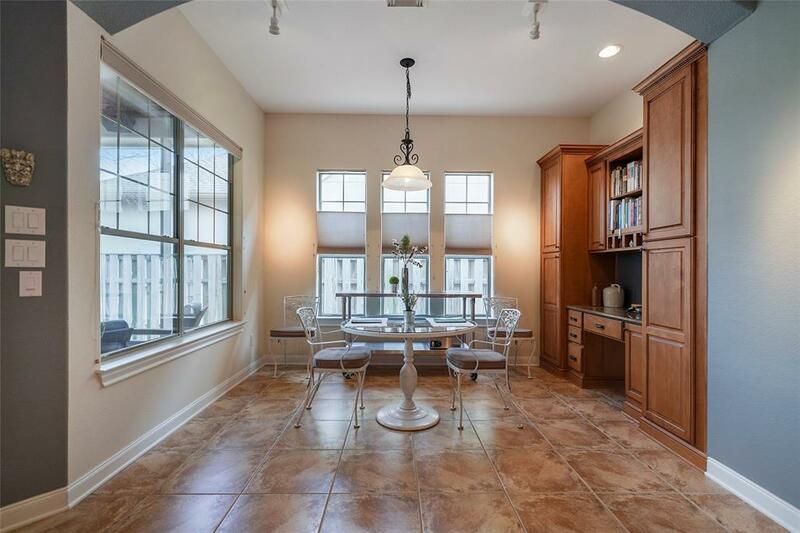 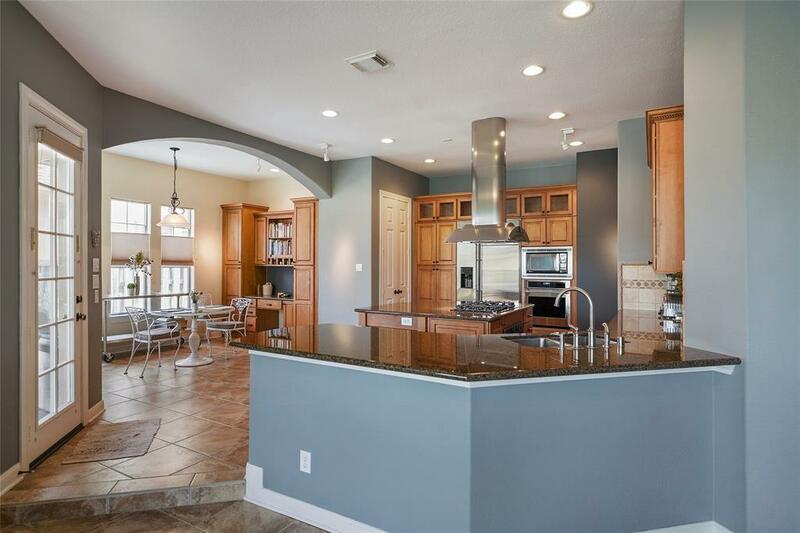 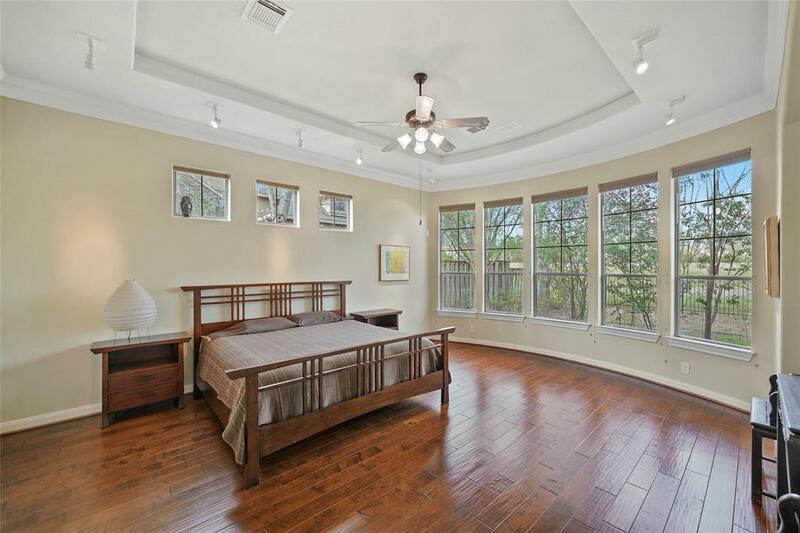 1st floor master bedroom, private study, formal dining, open concept island kitchen with SS appliances, screened in porch. 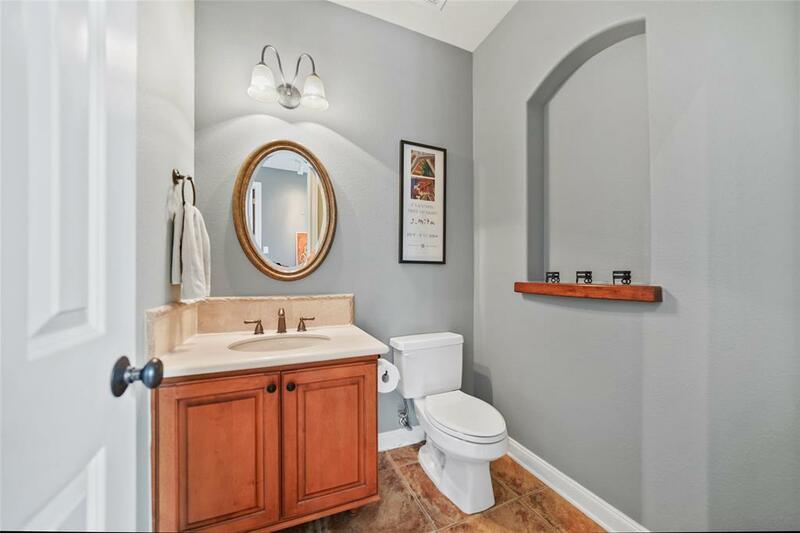 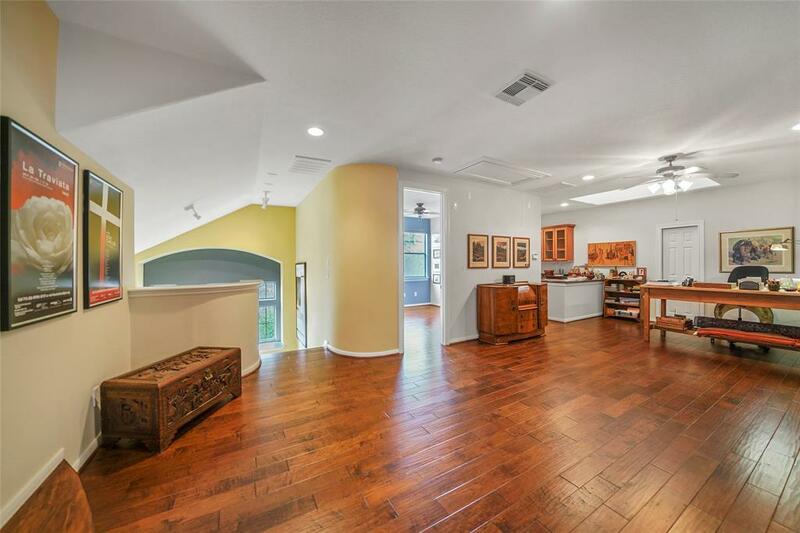 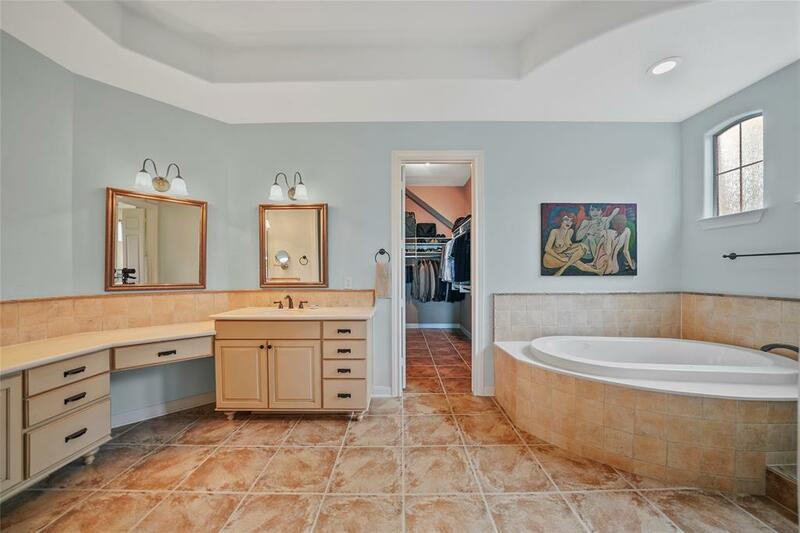 Upstairs large game-room, bar area, rotunda nook, 2 bedrooms with en-suite baths. 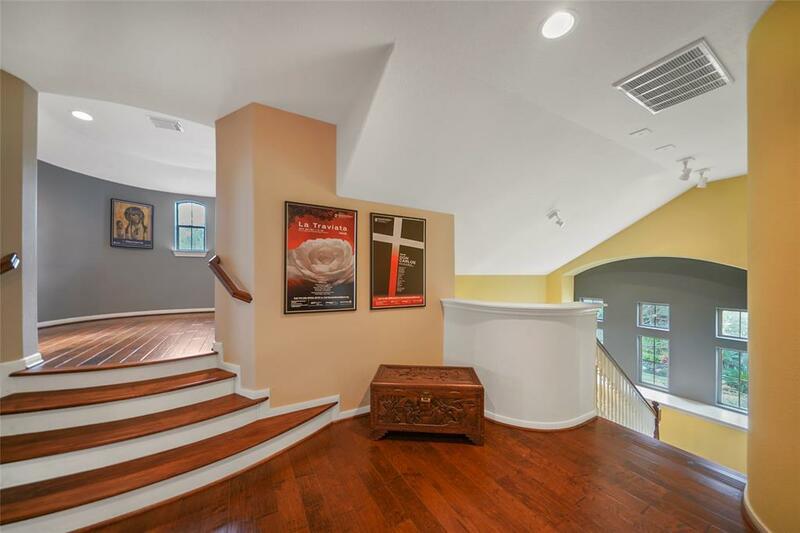 3 car garage with epoxy flooring, fully fenced yard. 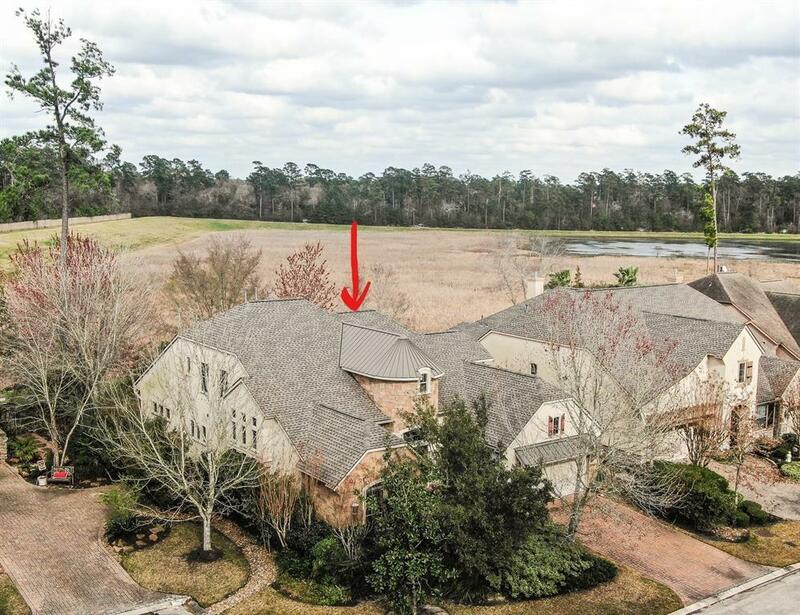 Recent Roof. 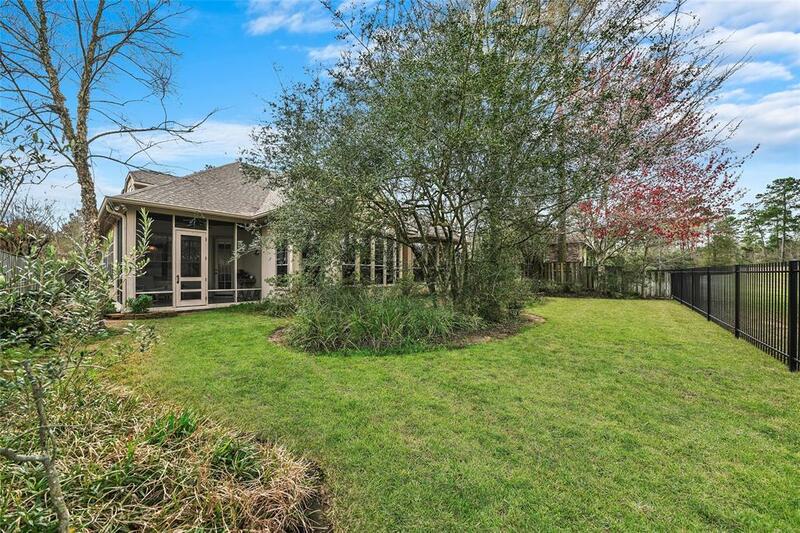 HOA managed by the homeowners includes front yard maintenance.